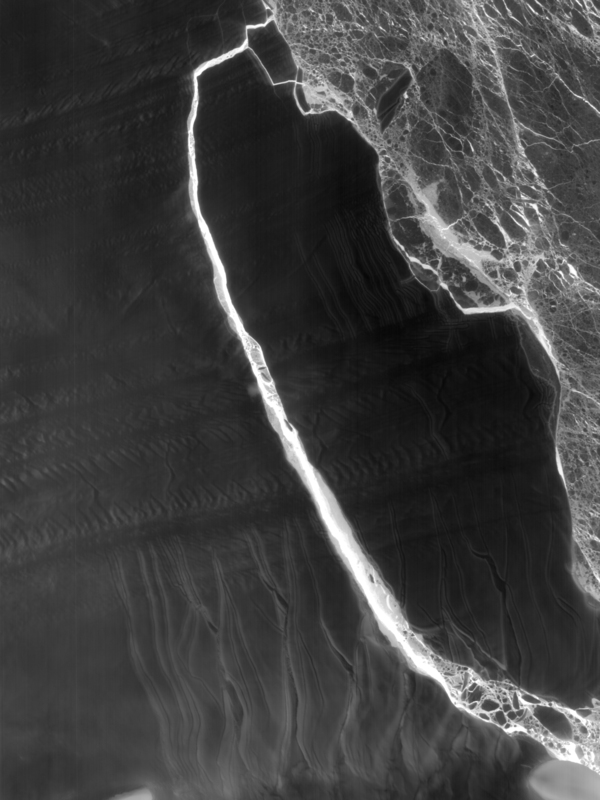 When a massive iceberg first broke away from Antarctica’s Larsen C ice shelf sometime between July 10-12, 2017, scientists knew it would eventually start breaking apart. That’s the normal life cycle of a drifting iceberg, which is at the mercy of the ocean’s battering currents, tides, and winds. 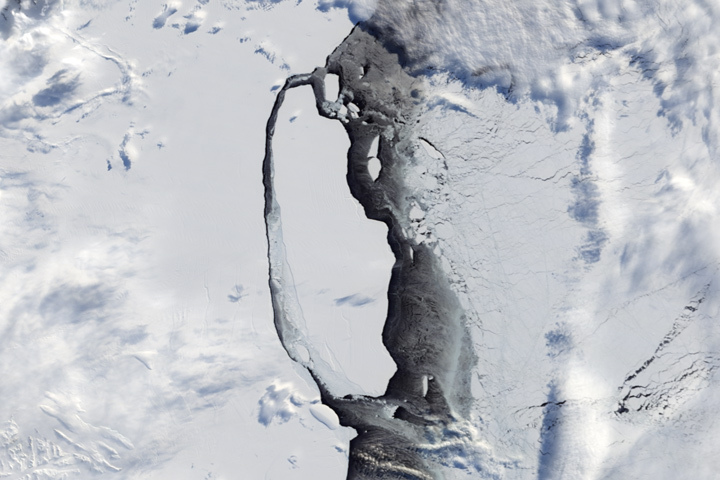 Already those forces have turned A-68 into two named bergs, A-68A and A-68B, as well as a handful of pieces too small to be named by the U.S. National Ice Center. 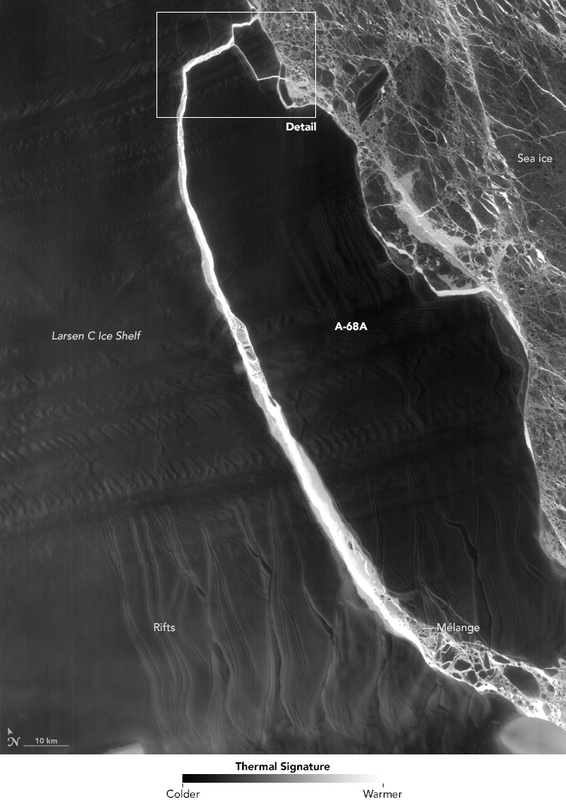 In the two weeks following the initial break, satellite imagery has documented the iceberg’s motion. The southern end appears to have slammed into a mix of floating ice above Gipps Ice Rise—the bump of snow- and ice-covered bedrock visible in the lower right of the image. Then the berg rebounded and its northern end swung back toward the just opened rift. 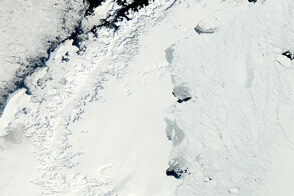 The resulting impact caused both the berg’s north end and the ice shelf to fracture. “The back-and-forth movement of A-68 looks akin to maneuvering a parallel-parked car out of a tight parking space—like an Austin Powers three-point turn,” said Christopher Shuman, a cryospheric scientist at NASA’s Goddard Space Flight Center and the University of Maryland, Baltimore County. 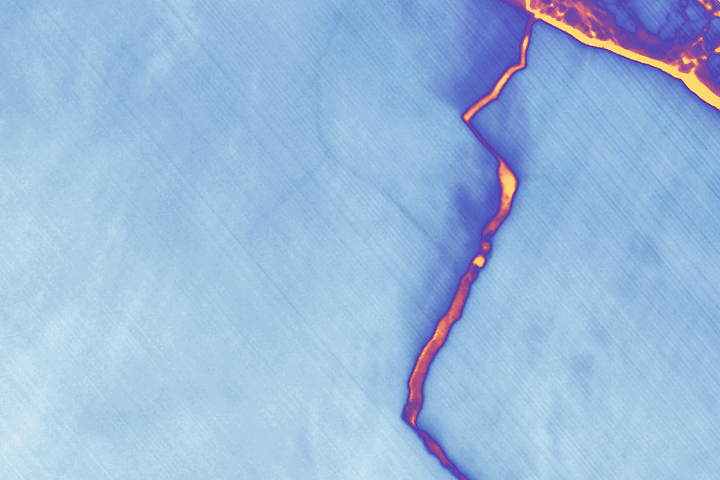 The fractured berg and shelf are visible in these images, acquired on July 21, 2017, by the Thermal Infrared Sensor (TIRS) on the Landsat 8 satellite. The false-color view shows the relative warmth or coolness across the region. 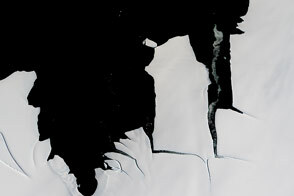 White indicates where the ice or water surface is warmest, most notably in the widening strip of mélange between the main iceberg and the remaining ice shelf. Dark grays and blacks are the coldest areas of ice. So far, the calving and fracturing has taken place under the dark cover of polar night during Antarctica’s austral winter. 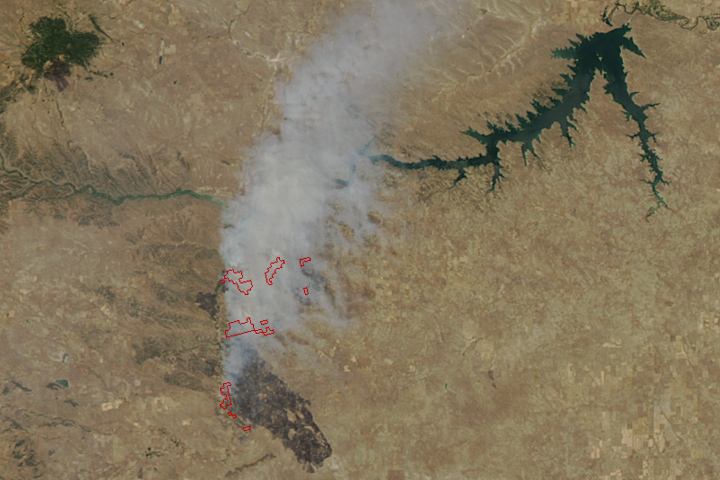 That makes thermal imagery from satellites a critical tool for “seeing” the action. 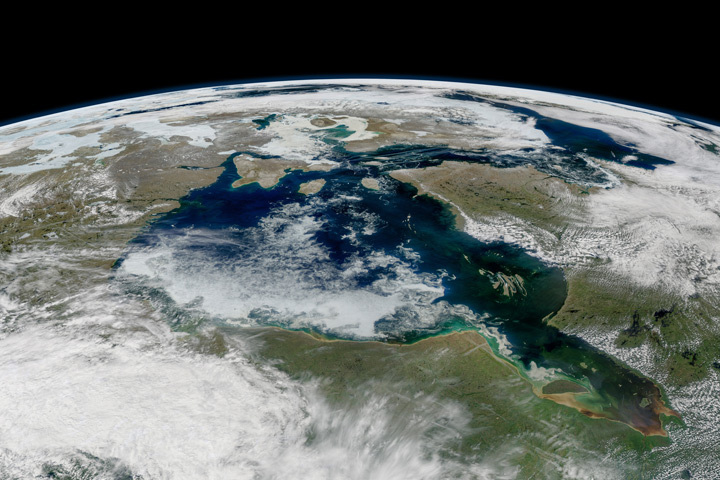 Adrian Luckman of the UK-based Project MIDAS first saw the berg break away in thermal data from the Moderate Resolution Imaging Spectroradiometer (MODIS), before Sentinel radar data became available later on July 12. 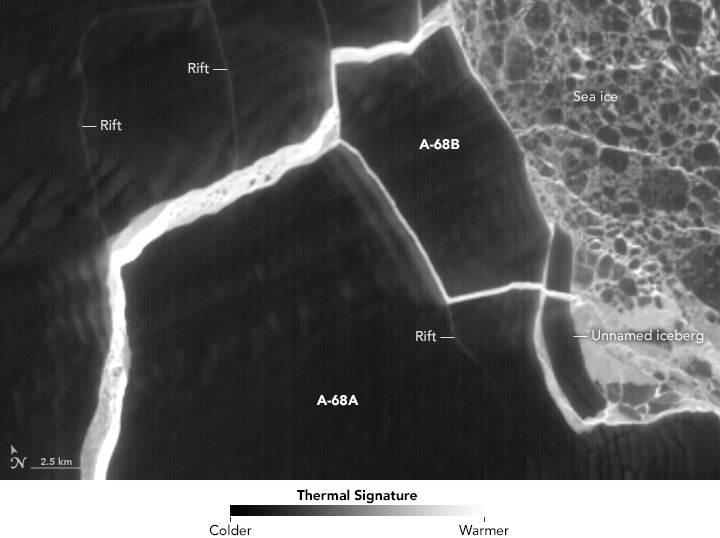 The thermal view above shows a remarkable amount of detail. The bright signature of relatively warm ocean water appears around A-68B, which broke off sometime between late July 13 and early July 14. More subtle fractures north of A-68B are visible on the shelf; these pieces will eventually break free and move out to sea with the rest of the ice. All of the ice pieces large and small are subject to the water currents of the Weddell Gyre and the strong weather systems that can whip up blinding snow and blanket the region in clouds for many days at a time. This same ocean circulation that will eventually move the bergs northward toward South Georgia Island. 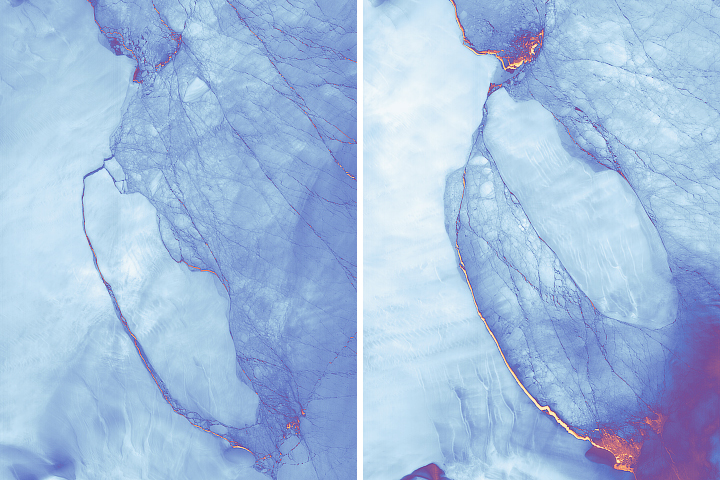 In the meantime, scientists will have to wait until August—the end of polar night here—to get their first natural-color images since the long-growing Larsen C rift became a complete break. NASA Earth Observatory images by Jesse Allen, using Landsat data from the U.S. Geological Survey. Story by Kathryn Hansen. The iceberg that calved from the Larsen C ice shelf has broken into two named bergs, as well as a handful of pieces. 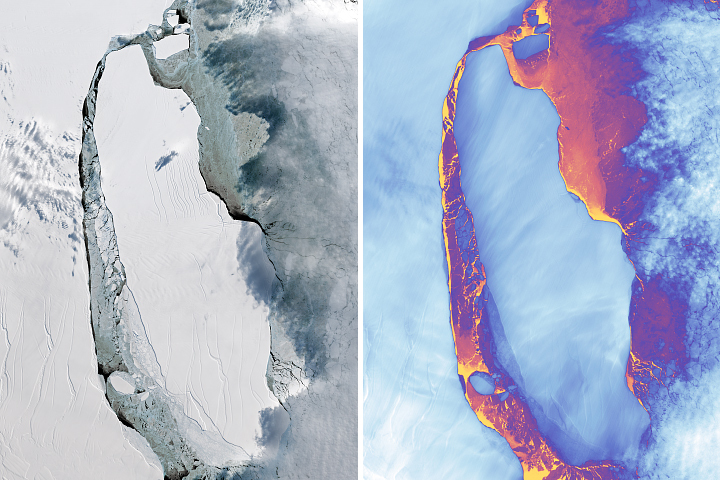 NASA Earth Observatory (2017, July 12) Landsat Spots Birth of Iceberg A-68.